Combine data from all your tools, tracking, and databases into a unified customer profile with Hull's powerful identity resolution. 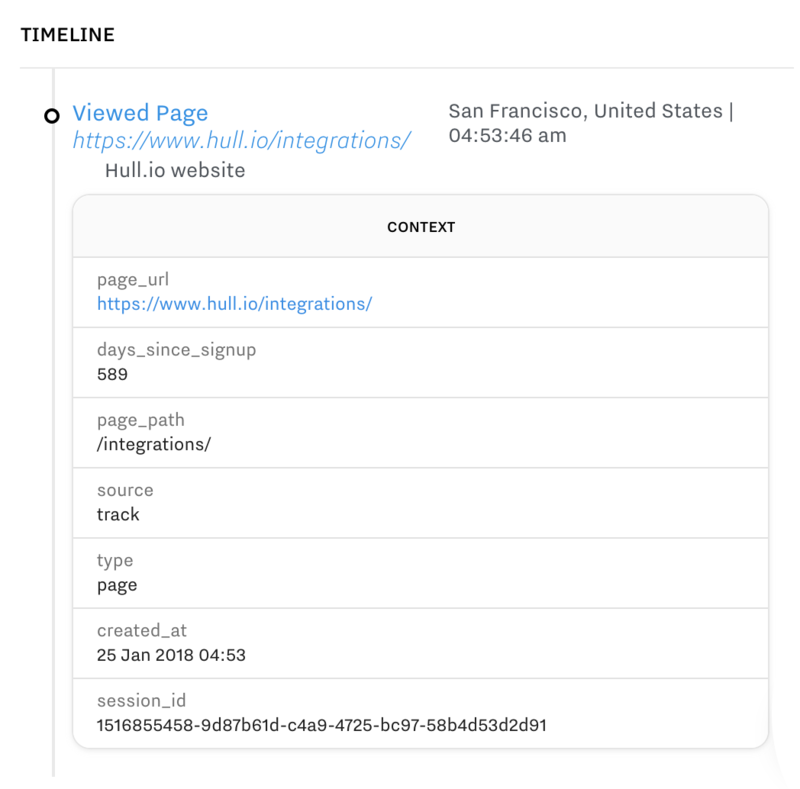 Use Hull's Integrations and Incoming Webhooks to capture data from all your CRMs, email, chat, analytics, enrichment, billing, and tools with customer data. Use Hull.js, Segment's analytics.js , Incoming Webhooks and the URL shortener to track web sessions and product usage into Hull. Use Hull's SQL Importer, APIs, and Google Sheets Importer to ingest data from your backend databases and data warehouses. Hull's Identity Resolution algorithms matches up data about the same person and the same company with identifiers from multiple different tools and databases into a single, unified profile. Hull treats all data in isolation. Merging is deterministic, secure, and configurable. See our documentation on identifiers & identity resolution. Everything about your Users and Accounts is captured in attributes, and are shown on the left hand side of every profile. Hull shows the complete set of attributes from every tool and database in one profile. 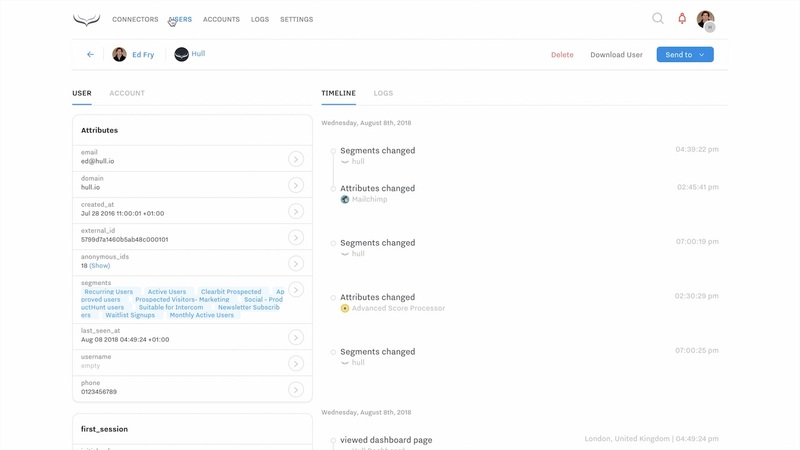 When you connect a new tool, all their additional attributes will be added to the profiles. 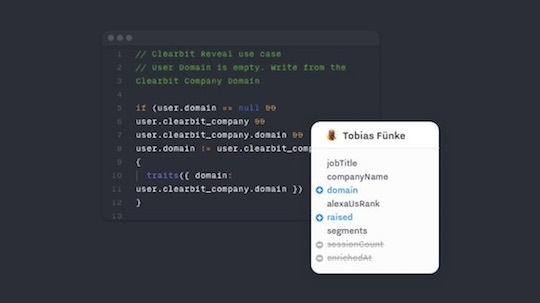 Hull identifies key attributes like name, email, and IDs from differen tools, and groups your attributes together automatically. There are no hard limits to the number or type of attributes you can capture and store. There is no schema to define either. Hull discovers and formats data as you send it. Hull can record events into User profiles. Unify your event streams of Page viewed Email opened Form submitted from all your tools into your single customer view. Hull captures every event property (like form fields) and any context that can be detected. Like attributes, their are no limit to the volume and type of event properties. As a attributes and segments change, Hull automatically stamps their timeline of events with the update, including the before and after values. Hull updates and recomputes the entire customer profile every time new data comes in. Hull Profiles are never out of date. 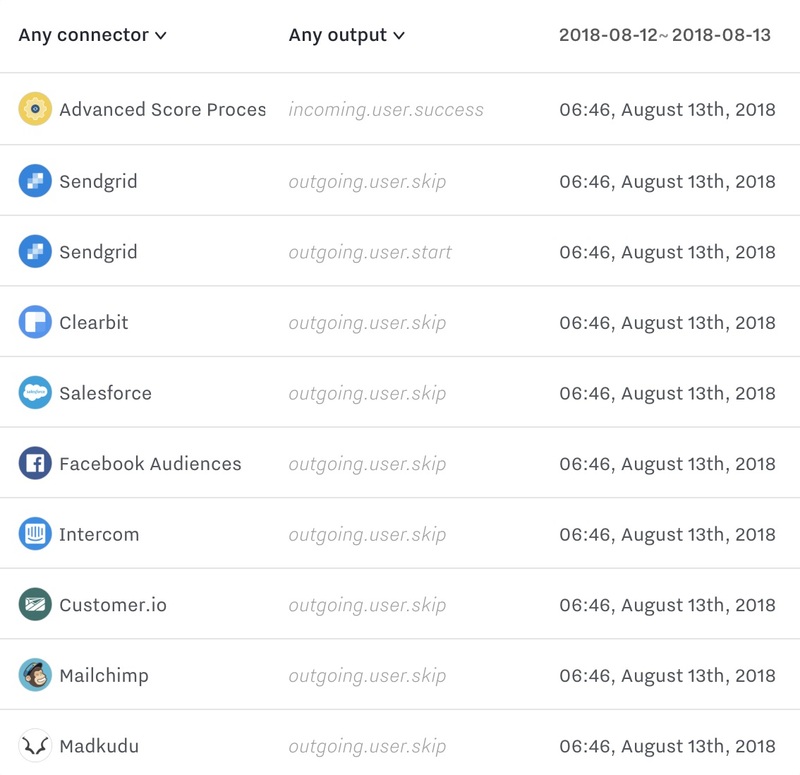 Every User and Account profile has a complete audit log of all data incoming and outgoing data that made up their profile. 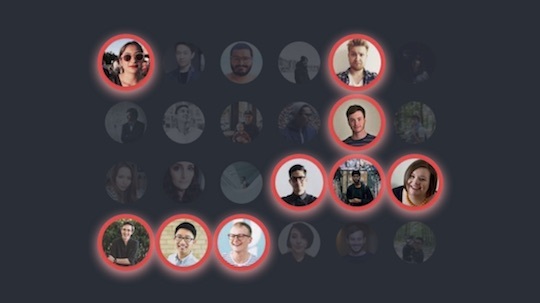 Search through any User or Account's entire collection of attributes and events with ease. 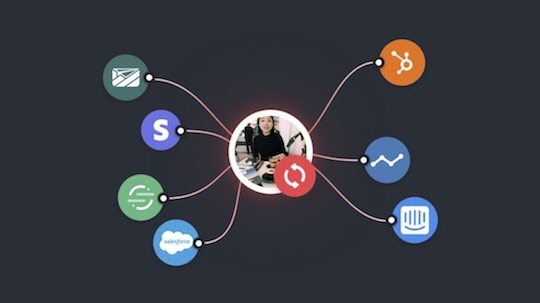 Use any combination of your customer data to build segments that update in real-time. Use integrations to map fields between Hull and your tools, and set them to sync automatically in real-time.